Superyachts have always been associated with the wild and the wealthy, probably for good reason to. These floating pleasure lands can be a vision sewn from dreams and the perfect way to help you experience the good life. From champagne cocktails at breakfast to dropping anchor on some of the most exclusive beaches in the Caribbean, rolling out the red carpet to welcome you to the hottest beach clubs in the Balearics and supping every night on lobster and caviar beneath the stars. Superyachts are even bedecked with personal onboard spas, saunas, Jacuzzis and more; imagine open air cinemas, a plethora of toys and tenders and a crew waiting to deliver your every dream day after day. In the spirit of celebrating the finer things in life, take a sneak peek at some of the world’s most expensive superyachts to get you in the mood for summer. Costing a staggering 1.5 billion and one of the biggest superyachts you can find in the seas, the Eclipse is about as grand as it gets. 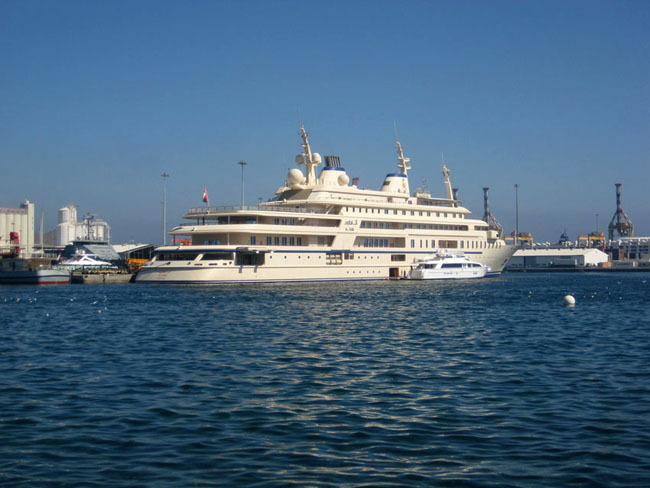 Russian billionaire Roman Abramovich is the owner and with its twenty-four guest rooms and crew of sixty it certainly seems he has plenty of friends. 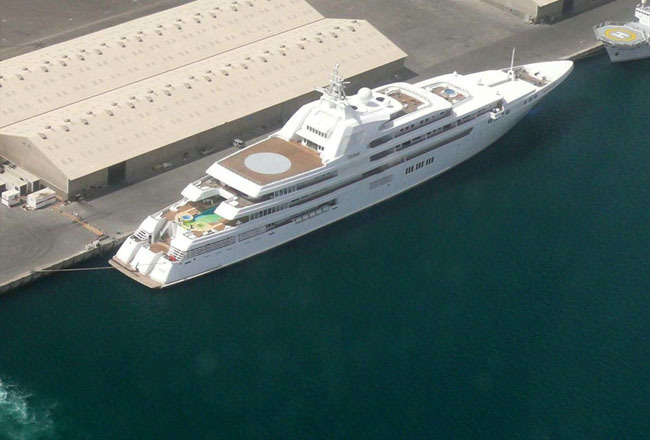 Two swimming pools glitter on deck along with a helipad for those days when a tender to shore simply won’t cut it. For those who adore their water toys, the Eclipse boasts its own unique submarine to dive deeper than anyone has ever gone before. Those who appreciate a generous dollop of privacy when playing aboard will also adore the fact that this state of the art superyacht boasts an anti-paparazzi laser shield ensuring that not even the sneakiest camera will be able to catch a thing. 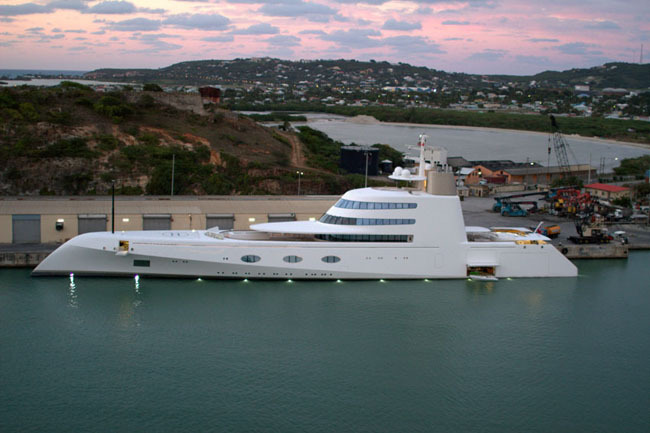 Just like the famous city, this is a superyacht that is surely in a class of its very own. Dubai is owned by the Prime Minister of the UAE and cost an incredible 350 million. The second largest private yacht is no stranger to the rich and the famous boasting an interior décor of the finest rich fabrics and incredibly ornate handmade mosaics. Onboard you will never grow tired with Jacuzzis and swimming pools to keep you cool, a helipad to ensure you can get here, there and everywhere and a sweeping circular staircase with glass steps that change color to suit the mood of the evening. Over a hundred people can sleep soundly on this luxurious superyacht and you are sure to want for nothing. The name may not sound particularly striking but once glance at this gleaming white pearl of the ocean and you are sure to be falling over to get a peek onboard. Costing a majestic 300 million to make the design is simply out of this world. Bold and eccentric in design in a way that cannot help but make you think of a submarine, inside you will find gorgeous creamy décor laced with glass and minimalist style. The glass fronted swimming pool is a dream come true and the beautiful tenders inspired and designed by Phillip Starck who created the whole yacht, are as intelligent and perfect as you could ever imagine possible. Said al Said, the Sultan of Oman really pushed the boat out with his 300 million showpiece that is said to have a grand hall so large it can hold a full-size orchestra. This floating dream can sleep seventy guests in stately comfort and boasts a crew of up to a hundred and fifty. The interior is somewhat of an enigma making sure that this is a superyacht that holds its legends well. 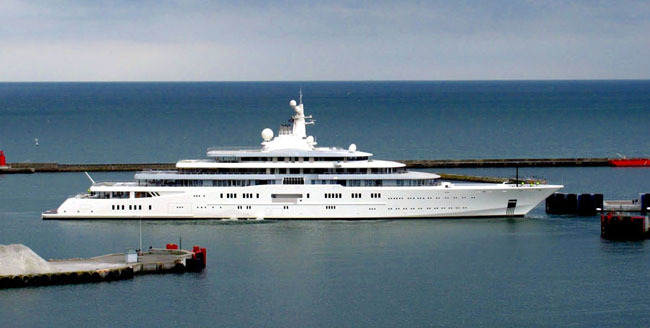 Ok, maybe MY Starfire is not one of the most expensive superyachts in the world but it is akin to a boutique hotel when you don’t want to stay on land. Being a sumptuously sweeter size means that you can be sure that you get the special treatment you deserve. Exceptional suites, plump and cozy designs and a small crew waiting to attend on you and your party alone makes for a welcoming stay with plenty of fun and frolics involved. MY Starfire also boasts a spa, cinema, and, of course, has plenty of wet and wild water toys to keep you fully entertained no matter which destination is calling you home. One of the most common question I get asked about my time working aboard superyacht is "What are the costs associated with owning a superyacht?" Since no two superyachts are the same and since no two superyacht owners request the same from their yacht and crew, the answer is often hard to give out. If the superyacht is moved every day from one destination to the next, your annual fuel bill might brake the million dollar mark, but if you plan on keeping it docked in front of your villa to be taken out on weekends only, then fuel costs might not be an issue. 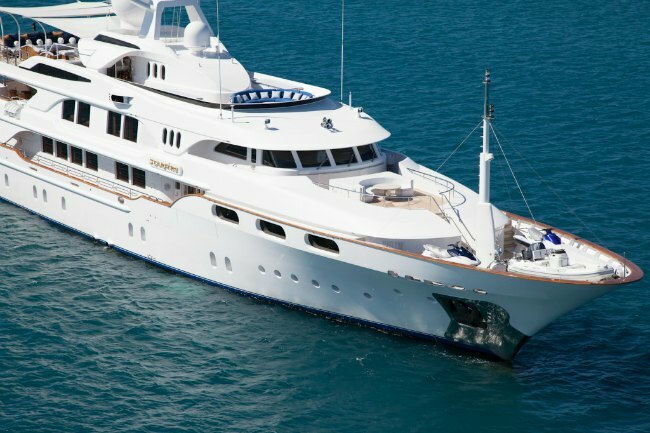 Since the question seems to be asked a lot by those who are simply curious or those who are seriously thinking about splurging on a shinny new white boat, the people at Luxury Yacht Group, an agency that provides creative solutions for yacht management, crew placement, sales and charter, have put together the Luxury Yacht Operating Cost Calculator. Obviously, the costs of owning a superyacht vary widely on the choices you make, but one think is sure, you can significantly offset the costs by chartering it out for a minimum of 12 weeks a year. 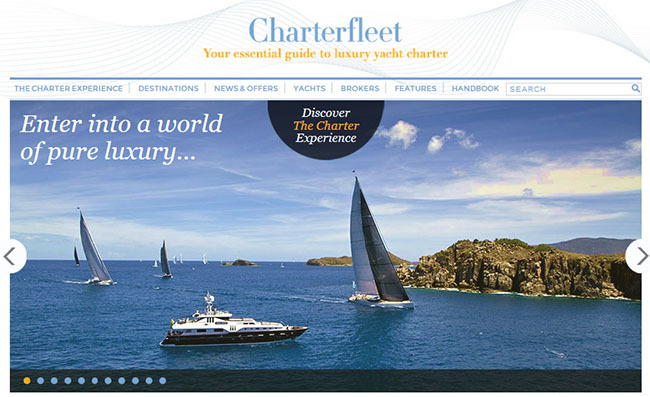 One way to stand out from the fleet of superyacht available for charter is to brand your superyacht - build a website, publish a great blog and be social. Need an example, check our MY Starfire's digital success. Although a lot of luxury brands put emphasis on targeting digital influencers and HWNI directly, they should not forget the people who interact with HNWI on a regular day-to-day basis, the ones who exert influence on the HNWI's wallet. With time, the relationship between HNWI and their staff becomes one founded on mutual trust and respect. Although some luxury brands may think that they can simply "buy" the recommendation from a luxury influencer, from experience, such an advance can put you on an irrevocable black list. Brands must remember that these influencers will never do anything to put their relationship at harm's way. They have worked too hard to get the HNWI's high opinion. Instead, a luxury brand should focus on establishing a trusting relationship with these influencers, one that is built on honesty and integrity. If you need assistance to approach luxury influencers, reach out to me, and in the meantime, read some of my thoughts on the top 10 real-world luxury influencers. The Personal Assistant: As some of you may know from looking at my LinkedIn profile, I was once the personal assistant to several HNWI; therefore, I understand first-hand how influential a personal assistant can truly be - a lot. When I first started, I would go to my employer before making any decision. Then one day, he told me this: "Roxanne, I make about $100 every minute so make every minute between us count. If it's under $10,000, I don't want to hear about it, you make the call because that is why I need you. I simply don't have time to worry about the small stuff." This statement changed the way I have interacted with HNWI. They value time above money; they have plenty of money, but little time to enjoy it. The Estate Manager/Butler/Majordomo: A good friend of mine is the estate manager to one of the wealthiest American businessmen, an older gentleman who relies on him for everything related to his day-to-day life. Rest assured that when this HNWI wants anything, whether it's a new superyacht or a gift for his wife, the first person he calls for a reference is indeed his estate manager. The Private Concierge: The private concierge is the connector, the one with all the contacts in his little black book. Even though some HNWI have both a personal assistant and an estate manager, they often rely on a private concierge when looking to book VIP experiences. Personal assistants also count on private concierges to get the inside scoop when you need a quick connection. Getting on the first page of this little black book can mean getting in front of the customers you covet the most. The Executive Assistant: Tasked with managing the calendar of an HNWI, the executive assistant is also often called upon for recommendations and trip planning especially if there is no personal assistant on staff. Having your contact details on their speed dial can be lucrative for any luxury brand. The Superyacht Captain/ Superyacht Purser: Once a superyacht lead deckhand aboard yachts ranging from 150' to 220', I learned firsthand how HNWI rely on the expertise of their captain, purser and crew for recommendations. On a superyacht, it's a team effort, but it is usually the Captain who books on-shore activities such as restaurants, spa treatments, private transportation and even hotel or villa stays. The Private Jet Flight Attendant: When high up in the air, a private jet flight attendant is often summoned for recommendations as to where to go eat, shop or play at the upcoming destination. HNWI understand that their knowledge of luxury experiences goes far beyond serving a fine cognac on the rocks. The Personal Shopper: When it comes to fashion, not everyone can create that stylist look. HNWI individuals often rely on personal shoppers/stylist when it's time to revamp their wardrobe. Therefore, if you represent an up-and-coming fashion brand, you may want to keep on your radar the personal shoppers/stylists in your city. The Personal Trainer: In between pumps and squats, personal trainers are a great source of information when it comes to getting the right advice on health products, active gear, food related items or restaurant recommendations. If this is your market, think of working closely with personal trainers. The Private Chef: When it comes to food, the private chef often makes all the dietary calls. They typically stock the fridge and cupboards with all the goodies needed, therefore getting them to taste your high-end product can get your brand in the HNWI's household. The Interior Decorator: Once again, when an HNWI plans to remodel their villas, superyacht or even private jet, the interior decorator is often the one who spends all the money. When thinking of your next influencer campaign, concentrate your efforts on building relationship with both digital and real-world luxury influencers. Together, they can put your brand in front of your targeted audience. 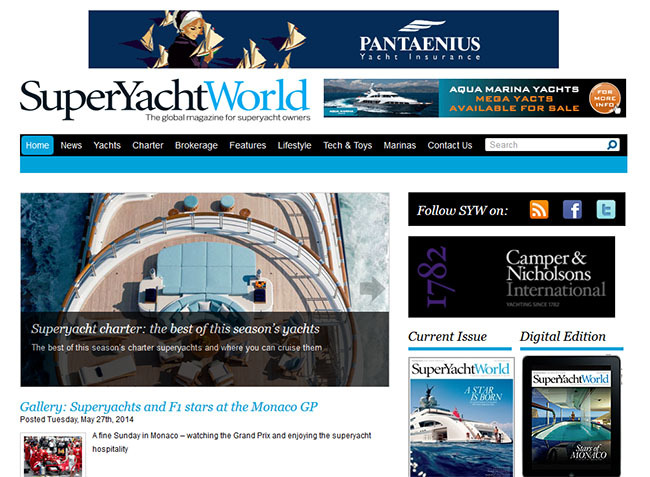 This publication calls itself the “global magazine for superyacht owners.” In addition to finding the paper editions of this publication in luxury locations, those who are interested in the digital edition of the magazine will be able to subscribe to the SuperYacht World digital edition. The Yachting Magazine covers all types of topics from yachting life, seamanship and boating safety. 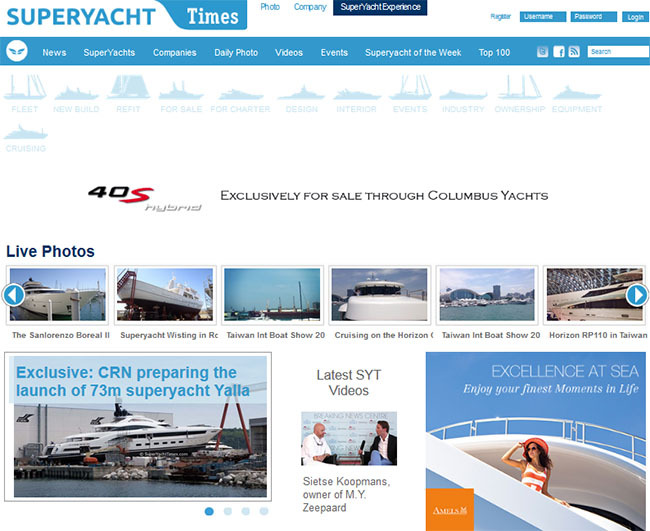 The magazine is part of the Bonnier Marine Group Network. 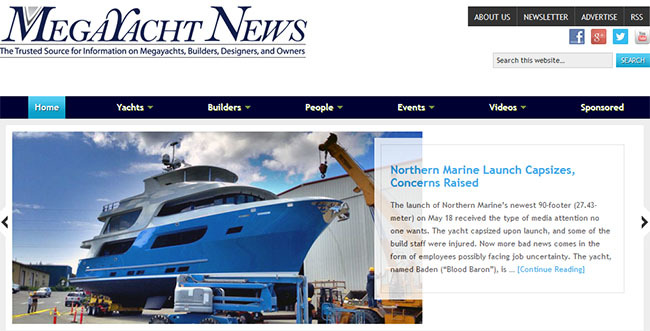 In addition to their digital publication, the magazine also offers newsletters and other resources for those looking to stay up to date with the yachting world. If you are interested in the luxury yachting experience, then the Yacht Charter Fleet publication is your key to opening up the world of private, luxury yachts. With an active social media outreach and free newsletters accompanying their publication, this web magazine is one of the most comprehensive guides to the world of yachting. 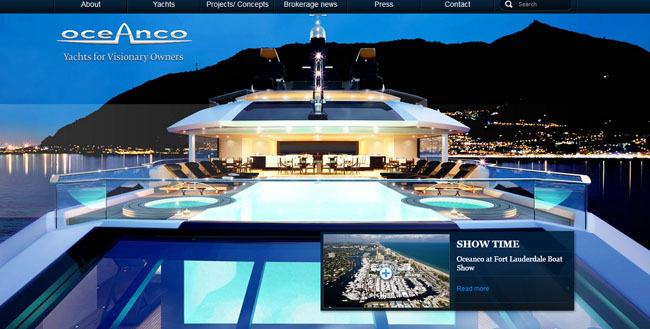 The online magazine Mega Yacht News is a trusted source for information not only on megayachts but on yacht builders, designers and owners. 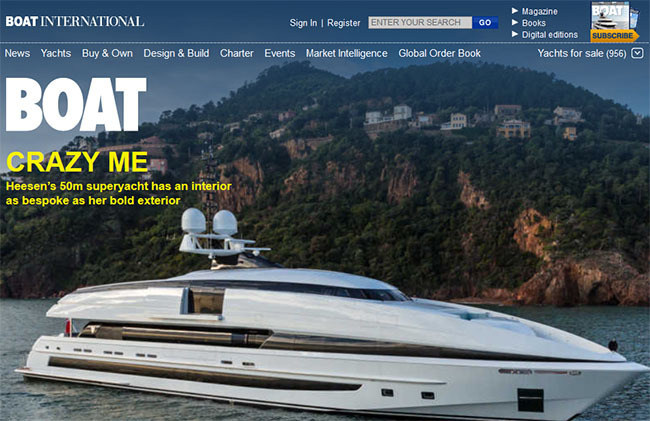 This independent web magazine is devoted specifically to American owners and buyers. If you own or manage a superyacht, you might be dabbling with the idea of increasing your charter revenues by stepping up your digital presence. If you already have a great superyacht website, such as the one we designed for MY Stafire, the next step is to join the social wave. Why should your superyacht join the social wave? Because social media gets you actively connected with industry leaders, influencers and fans while your website simply waits for them to connect with you. In an era where time is scarce, some consider social media to be the new email with its quick, timely and relevant interactions. As you share your story with compelling content across your social media channels, you let fans get to know the people behind the superyacht, creating the foundation to a great relationship. But in order to turn fans into brand evangelists, you must have a clear social media strategy that includes great content representing your superyacht’s expertise. Once you have a strategy and a few original pieces of great content, such as infographics and blog posts, you must get the message out to the right audience at the right time through the right channels. To help you better understand the digital yachting landscape, we have put together some of our wisdom to get your superyacht on the social wave. 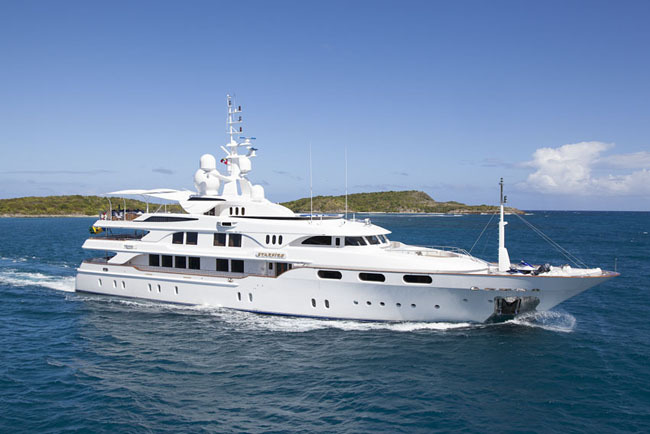 Here are our 11 Tips for a Social Superyacht. 1-Be reachable. To interact with you they need to find you. Your website is the gateway to your social media channels; so make sure your social icons are easily findable on every page. Don’t hide the icons, but instead, be proud to be social and place them somewhere easily findable. Consider adding social widgets to your website giving a glimpse into your social communities. 2-Be Branded. Tell your superyacht’s unique story. Your social media channels must reflect your superyacht’s personality. Are you a fun yacht, a classic yacht, an exploration yacht? 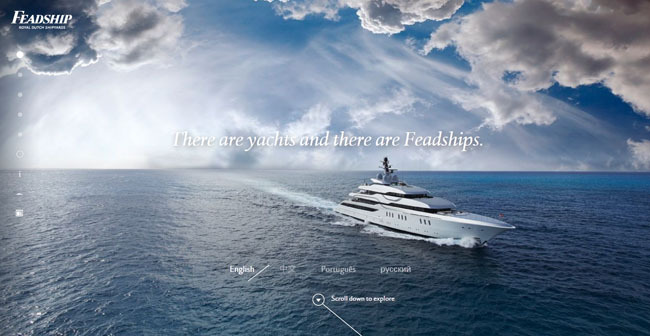 Or are you just a regular plain old yacht? We didn’t think so. You must build your social media personality around the superyacht’s true essence. 3-Be Real. 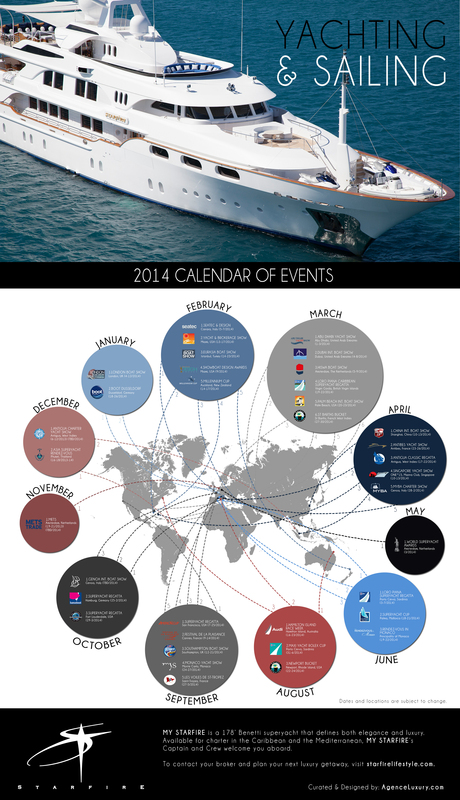 Show the people behind the superyacht. You are more than jet skis, sun beds and staterooms. 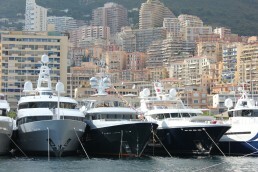 You are a superyacht, loved and serviced by a team of crew members. Your crew is your differentiating strength and must be put forward throughout your social media strategy. Don’t hesitate to share adventures, stories and fun facts about your crew to show the real side of your superyacht. 4-Be Engaging. Don’t talk alone, have two-way conversations. These is nothing more boring than listening to someone talk about themselves for hours on end; don’t do the same on your social media channels. As a general rule of thumb, don’t spend more then 25-35% of your time talking about your superyacht. Instead, give your words to others and you will see them giving theirs back to you. Social media is all about team work. 5-Be Knowledgeable. Show off your expertise with others. You are a superyacht. 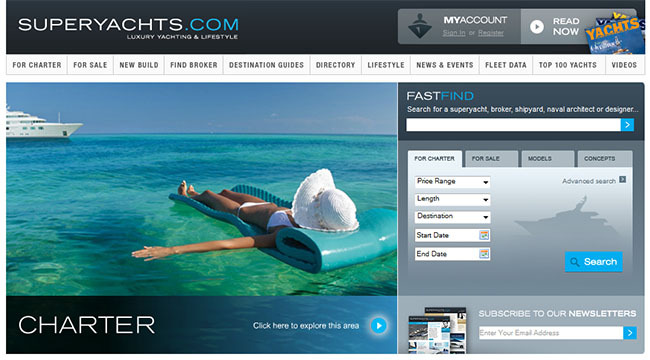 Luxury & travel experts and even brokers have a lot to learn from you about the industry. Share some of that wisdom and privileged information by answering questions from others and giving your opinions on related topics. Don’t just be there, get involved in the discussion. 6-Be Creative. Have fun and show your spirit. You have a superyacht with a great personality; so now it’s time to show it off. Create compelling content such as infographics, videos, photos, blog posts, interviews to get people talking about your superyacht. You are living the life, so why not share it with those who dream of white sands and blue waters. 7-Be Around. Don’t join to simply disappear. Getting to know your fans takes time and dedication; so you might not see any results in the first few weeks and months. Once influencers see that you are here to stick around and that you provide compelling content, they won’t hesitate in creating social synergy and give back some social love. 8-Be Everywhere. Build your presence where fans seek you. Your fans are on every social network; so it's important to have a unified presence across all majors channels. Since time is of essence, concentrate your efforts on Facebook, Twitter, Pinterest, LinkedIn, Google+ and Instagram. You might also want to interact on a country specific network to target a specific clientele. 9-Be Personable. Show your personality and enjoy the wave. Every social media platform has its guidelines; so don’t automate your Tweet, Pins and Likes, then forget about it. There is no better way to kill your social presence then to plug in a tool and forget about engaging. Your fans won’t interact with your superyacht if you take a robotic approach to social media. They will immediately see the disconnect between your interactions and your social promise. 10-Be Surprising. Engage your followers with unique content. A little bit of this, a lot of that and a little more of this. The secret ingredient to a social cocktail involves combining questions, quotes, comments, replies, retweets, hashtags, pictures, videos, polls, giveaways, blog posts and everything else that fits with your branded strategy. Don’t repeat the same strategy every day, as you will see your social interaction fade away. Surprise to engage, then surprise once more. 11-Be Luxury. You are a superyacht, so you must act like one. Since your online presence reflects your reputation, you must always act and talk like a superyacht. Social media is all about building your brand image, an image that is built on one Tweet, Like or Pin at a time. A reputation can be tainted rapidly; so make sure to have a clear strategy before you jump in. Now that you understand the basics of building a solid branded superyacht presence on social media, the question is, what will be your superyacht’s social media strategy? Reach out to us if you need someone to guide you with your digital presence. From the design, type, speed, length and amenities, there are a lot of details to think about when purchasing a custom-made superyacht. Having worked aboard superyachts for several years, I got the chance to experience their luxury amenities and their layout first hand. Whether you have a design in mind or are starting from scratch, below is a list of the top 10 superyacht builders with years of experience turning their client’s visions of their ideal superyachts into reality. Feadship, which stands for First Export Association of Dutch Shipbuilders, is recognized as the world leader in pure custom-built yachts. Based in the Netherlands, the company launched more than 250 superyachts since 1949 and specializes in newly built motoryachts between 40 and 100 meters. Personal Note: I had the pleasure to be a member of the launch crew of MY Anna, a 220' Feadship masterpiece. 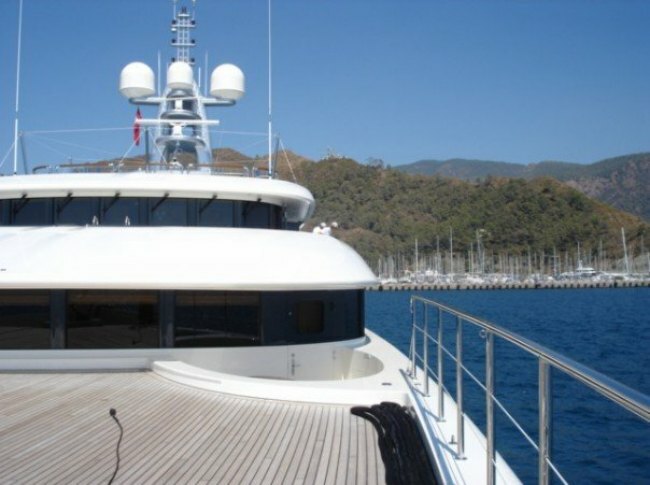 If you look closely at the picture below, you will see me at the helms of MY Anna, docking her in Marmaris, Turkey. What an experience!! 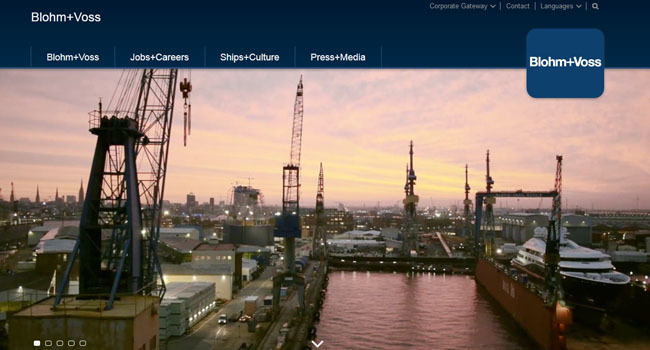 A family business since 1875, this Germany-based leading shipyard has built more than 13,000 boats, ships and yachts, and specializes in building new yachts between 60 and 150 meters. Personal note: I was a member of the launch crew of MY Apoise, a 220' Lurssen superyacht with the best crew accommodations I have ever seen. Lürssen does understand the importance of the crew and treats them like members of their extended family. 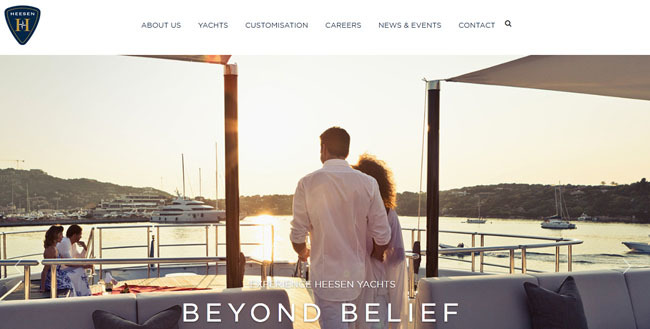 Founded in 1978, Heesen Yachts is dedicated to its company motto of providing one key principle: “The Performance of Luxury.” The Netherlands-based company builds and designs modern luxury superyachts with cutting edge technology, and is a leading builder of aluminum luxury yachts. Personal note: Heesen recenly launched MY Galactica Star, which I had the pleasure to tour in Monaco. 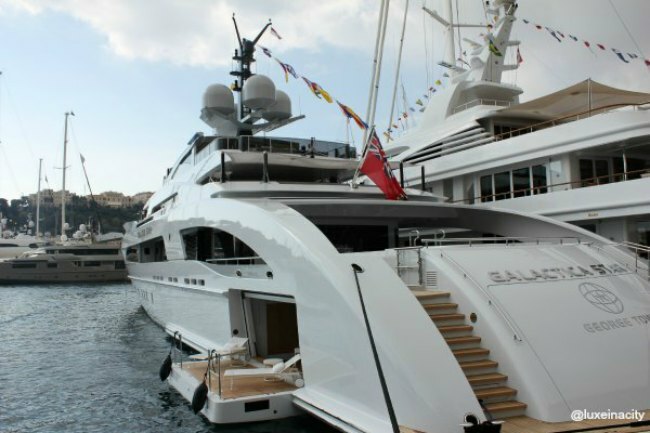 Although I have never worked aboard an Heesen superyacht, MY Galactica Star is a dream! It's beach club is by far the best I have seen. 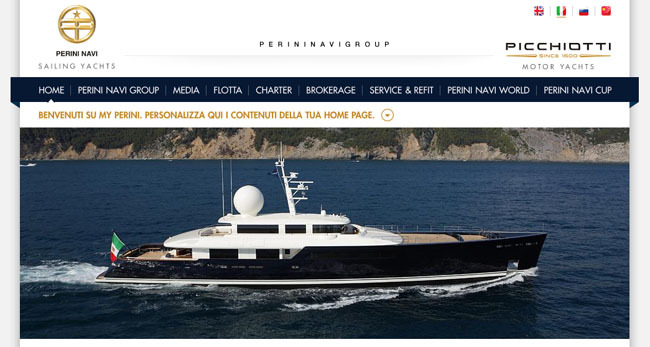 Based in Viareggio, Italy, the Perini Navi Group is made up of four companies that operates in five specific markets: large sail yachts from 40 to 60 meters; large sail yachts more than 60 meters; a racing line of sailing yachts, a fast cruising line of sailing yachts, and Picchiotti motor yachts. Located on the Gulf Coast of the United States, Trinity Yachts designs, engineers, builds and delivers custom yachts at one facility. The company can build designs up to 123 meters, and is one of the elite builders of custom superyachts with focus on European quality, steel and aluminum constructions. 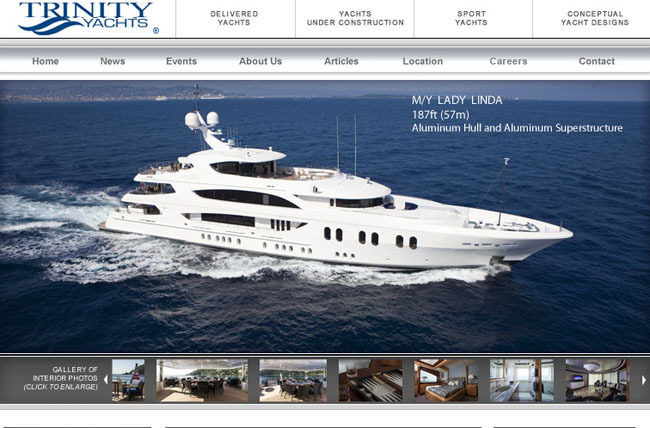 Personal note: Maxine and I both worked aboard a Trinity superyacht. Maxine was actually a member of the launch crew of MY Imagine. She spend several months at the shipyard prepping the yacht for this maiden voyage. She loved her experience. I worked aboard MY My Iris in the Hamptons for a season. The yacht was exquisite. 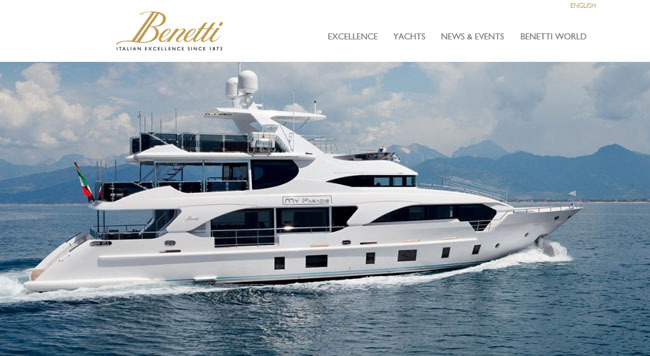 Voted as the world’s leading builder of custom mega yachts by ShowBoats International magazine, Benetti was founded by Lorenzo Benetti in 1873 and has built nearly 300 boats since then. The company is headquartered in Viareggio, Italy, where they build semi-custom composite yachts and custom steel and aluminum yachts. Personal note: Since MY Starfire's captain is both a patron and a good friend, I sailed from Fort Lauderdale to Miami aboard MY Starfire. Although the weather was rough, she handled it like a charm. Her sundeck is truly a great space to enjoy the sea-salt air. If you are considering building or chartering a new superyacht, reach out to us and we will gladly point you in the right direction. We regularly keep in touch with the best in the industry.